Join us on the 23rd November for our Book Week Scotland event. 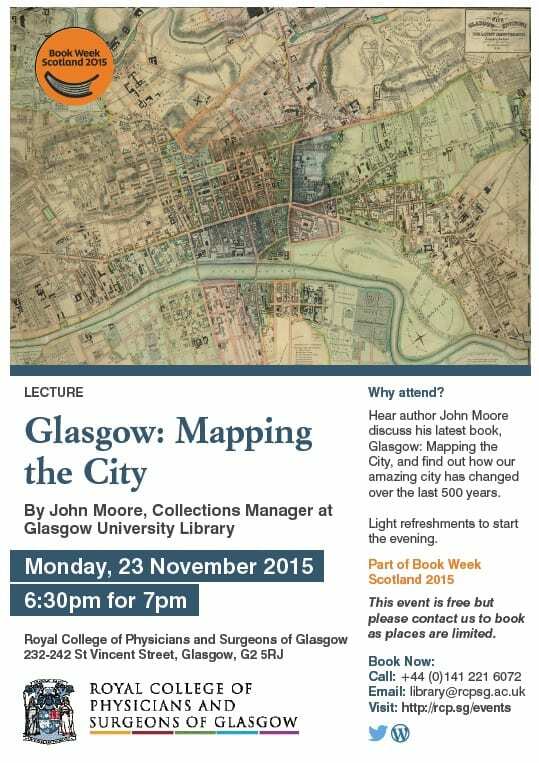 John Moore will be discussing his latest book, Glasgow: Mapping the City, which explores how our amazing city has changed over the last 500 years. Moore’s beautifully illustrated book features 80 specially selected maps, each offering a unique insight into the political, economic and social history of Glasgow. Our evening will take you on a journey through the development of shipbuilding, green spaces, transport, health, the industrial revolution, wartime, tourism and much more. The evening starts at 6:30pm with light refreshments and a glass of wine. The talk starts at 7pm. The event is free and all are welcome but please contact us to book as places are limited. 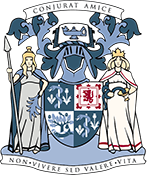 Contact library@rcpsg.ac.uk or call 0141 221 6072 to book your place. John Moore is a specialist on Scottish cartography and has published widely on the subject over a period of many years. He is currently Collections Manager at Glasgow University Library.